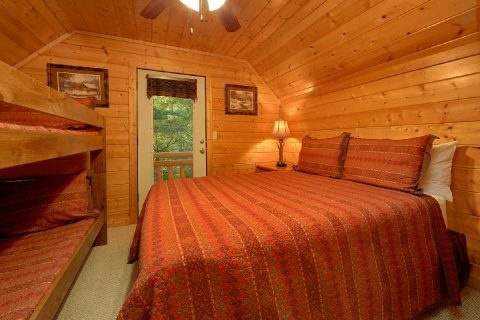 Get ready for an unforgettable Smoky Mountain vacation when you book "Deer To My Heart!" 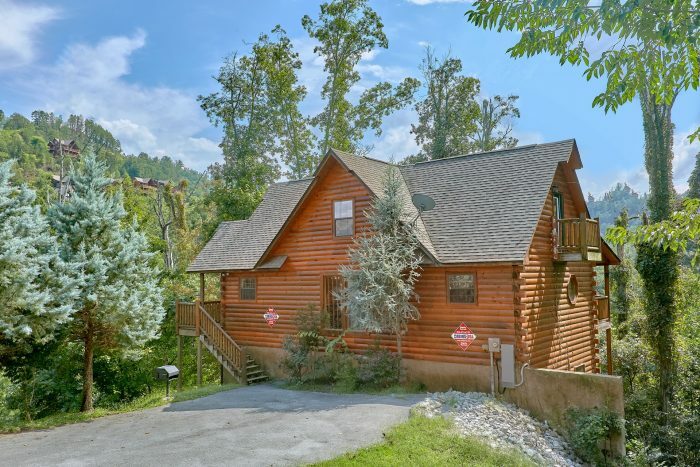 This impressive 5 bedroom cabin in Hidden Springs Resort near Pigeon Forge and Dollywood offers space for up to 14 guests! With a great location that's only 7 miles from Downtown Pigeon Forge and nice resort amenities like swimming pool access, this luxurious cabin rental can make your getaway relaxing and fun! 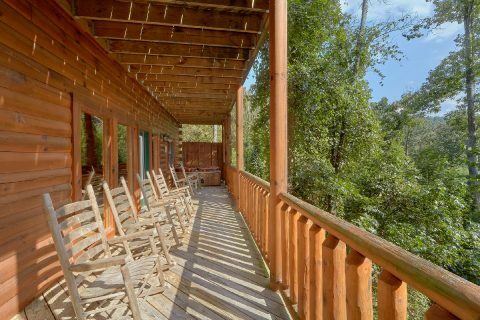 Additionally, this rental rests in a peaceful, wooded location in Hidden Springs, so you can enjoy a truly restful stay in the Smokies. 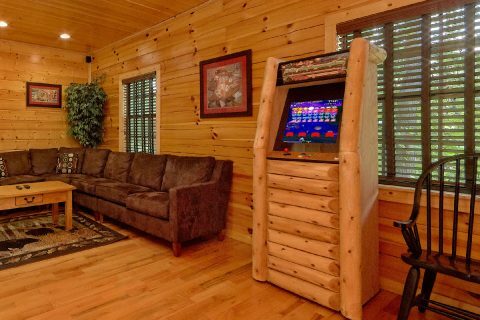 Step into the main level of "Deer To My Heart" and you'll find a welcoming living area complete with an electric fireplace and television. 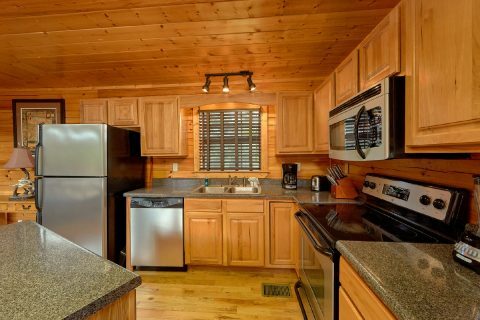 Nearby, there's a full kitchen for making delicious meals on your vacation and there's also an outdoor charcoal grill for you to use. 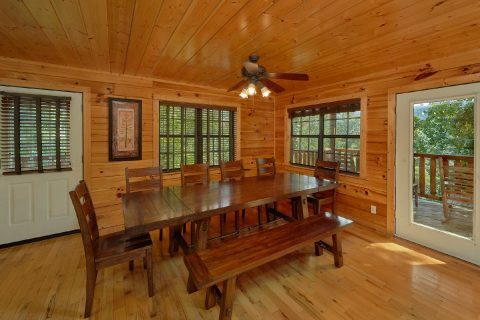 From here you can step outside to your cabin's deck to enjoy the forested scenery that surrounds your cabin. 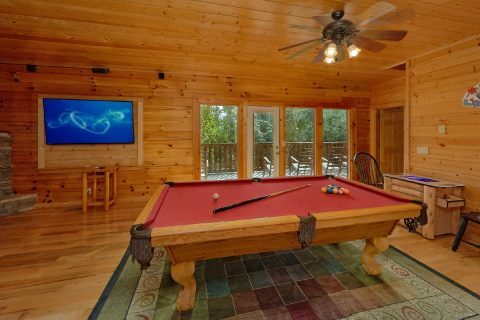 For some in-cabin entertainment, head downstairs to the game room that comes complete with a pool table and a stand-up arcade game. 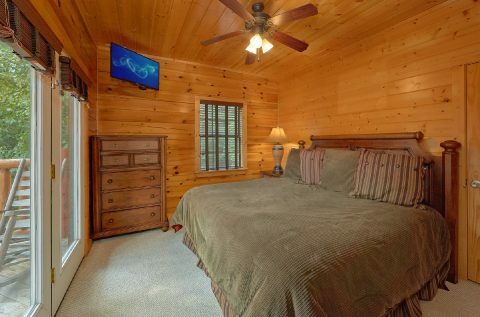 There's also a large media area that features a large sectional sofa, an electric fireplace, a sit-down multi-cade arcade game, and a 65" TV for watching your favorite movies and shows during your stay. 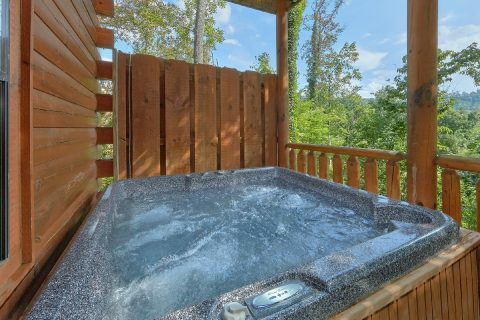 To truly unwind, be sure to take a relaxing dip in your cabin's outdoor hot tub that's available any time of year! 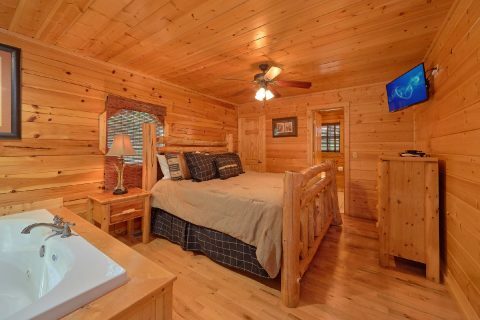 Once you're ready to get some rest before your next day of vacation in the Smokies, you can look forward to sleeping in one of your spacious cabin's 5 bedrooms. 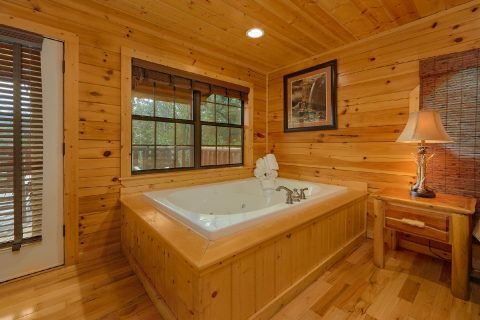 The main level is home to a king-size bedroom complete with a jacuzzi tub. There's also a sleeper sofa in the living room to accommodate extra guests. 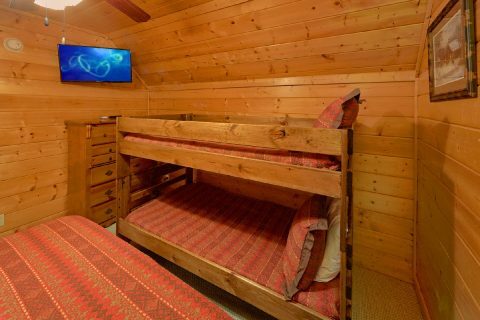 Upstairs, you'll find another king bedroom and another bedroom with a queen bed and a twin bunk bed. 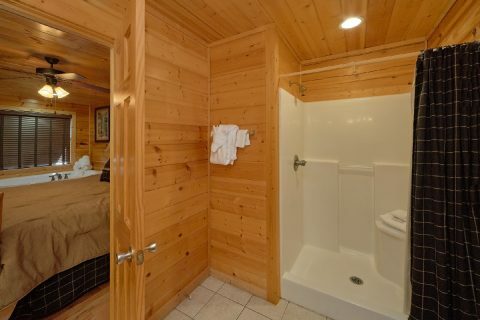 This room even has a private balcony. 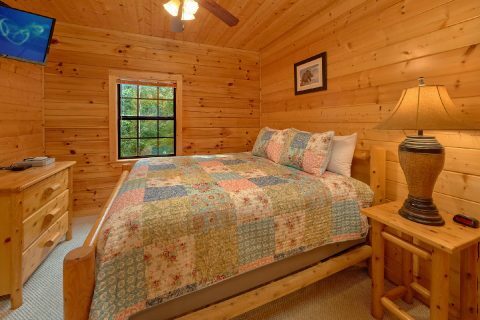 Lastly, the lower level features 2 king-size bedrooms, so this rental can easily sleep 14 guests in comfort. 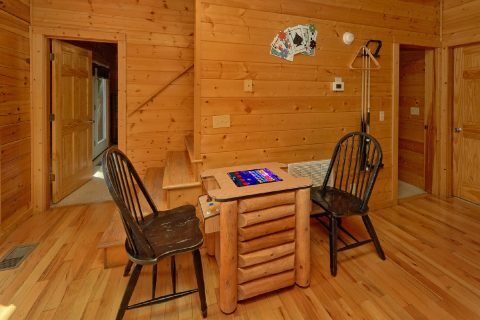 Additionally, this cabin comes equipped with WiFi Internet. 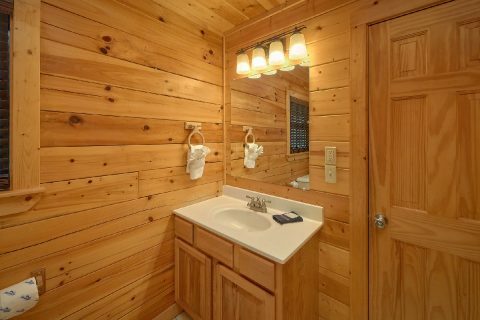 Book your cabin with a hot tub, resort pool, and a game room today with Cabins USA and you'll save 15% on your nightly rate on this beautiful cabin in Hidden Springs Resort!